Whether you’ve recently moved to the city or are visiting for fun, if you find you need a holistic dentist, the good news is you don’t have to search all over for the right one. Because Tucson is such a vast city full of tourism and local business, it can be daunting to figure out exactly where to go, especially when it comes to the available holistic dentistry options. We’ve made it much more simple for you to locate a dentist that has the qualifications and experience you need. 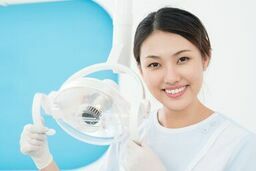 At Emergencydentistsusa.com you can reduce your search efforts and relax because we’ve made it easier to find a qualified holistic dentist in Tucson. Our online listings offer local holistic dentists, their office hours, the types of services they provide, and even the payments accepted. From emergency dental treatments to routine visits, there is a dentist out there for you. If you do not have online access, don’t worry, just give our friendly toll-free dentist finder phone number a call. One of our highly qualified agents will be happy to assist you. When you’ve decided on the right dentist, they can even set up your very first appointment for you and provide you with directions on how to get there. Don’t forget to arrive at least 15 minutes prior to your first appointment. You’ll want to have time to fill out any necessary paperwork. Bring along with you a valid form of identification, your insurance cards, and any copays that may be due at the time of service. Description: Kriman Dental is a fluoride free and mercury safe dental office that combines the best parts of both general and biological dentistry. From emergency treatments to routine exams, they offer a variety of services to suit your needs. Their friendly staff will make sure that you always feel comfortable at your appointments. Description: Sabino Smiles offers a variety of dental treatments that meet all of your holistic needs. Their services include dental hygiene, crowns, and even routine cleanings. If you are searching for a holistic dentist in the Tucson area, then this might be the one for you. Description: The office of Dr. Stan Farnum, DDS proudly offers their patients holistic approaches for their dental needs. The staff takes their time to go over each option to ensure each of their patients have a firm understanding of their treatment plan. They offer natural solutions that provide quality care for the patient’s health as well as the environment. Making the decision to get holistic dental treatments doesn’t mean you’re starting fresh in your dental care. It just means you’ve become more award and educated about the products that are going into your body and have chosen to live a healthier lifestyle. Not only is this decision great for you, but also the environment around you. Just like any new health provider, you’ll want to check out the holistic dentist you’ve chosen ahead of time to review their certifications and qualifications. You can do this at your first appointment by requesting these from the front receptionist, or before by checking out the Arizona Dental Association website.